You may have read that A-EON Technology recently acquired the rights to Amiga.org, the world's oldest English language Amiga community web forum which dates back to a time when Commodore was still in existence. Amiga.org is a great piece of Amiga history and has the potential to be a massive resource for all Amiga and Amiga-inspired enthusiasts (whatever the flavour) and as a fully signed up member I'm really proud to be associated with this Amiga community forum. 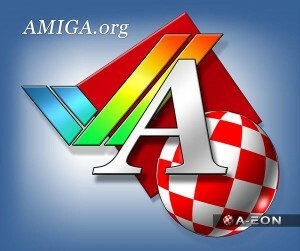 I was very surprised to discover that the current Amiga.org logo was created by the talented Australian Amiga graphics artist Kevin Saunders who created a series of logos and graphic designs for Wayne Hunt, who was the original founder of Amiga.org way back in 1994. Incredibly, 2014 marks Amiga.org's 20th anniversary. All I can say is here's to the next 20 years! 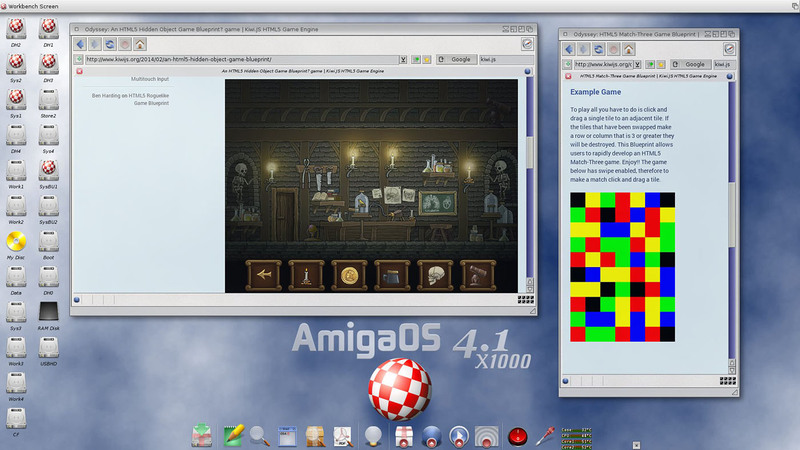 I was recently contacted by Johannes Genberg, the editor of Amiga Forum, a Swedish printed Amiga magazine which caters for all Amiga inspired flavours, created by SUGA, the Swedish User Group of Amiga. 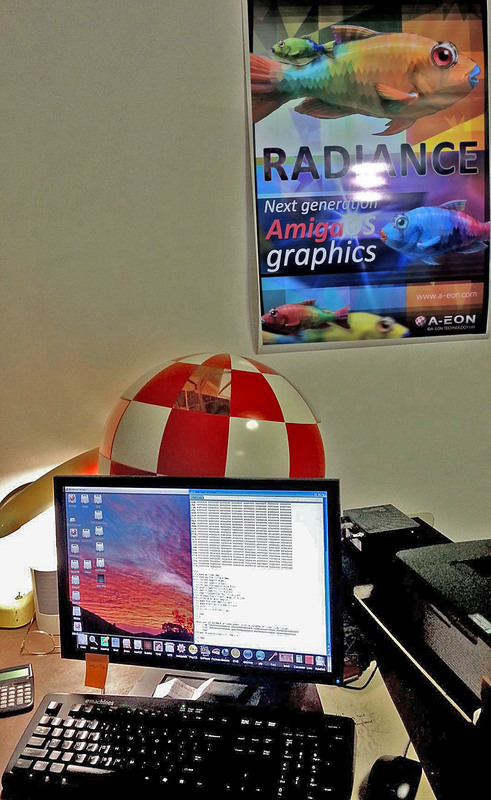 If you are lucky enough to be an AmigaONE X1000 "First Contact" owner you will have heard the special boot-up sound written, as a homage to the original Amiga 1000 boot sound, by free-lance music composer RayneLeafe. 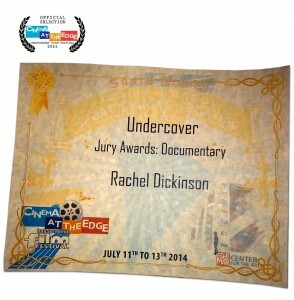 She has also written music and sound effects for a number of Amiga-related videos as well as the new boot sound, entitled Close Encounters, for the AMIGA one X5000 models. What you may not know is that she is also the creative influence behind Stomp it Out Productions whose movie, Undercover, has just won the Jury award for the best documentary at the annual Cinema at the Edge film festival in Santa Monica, California. 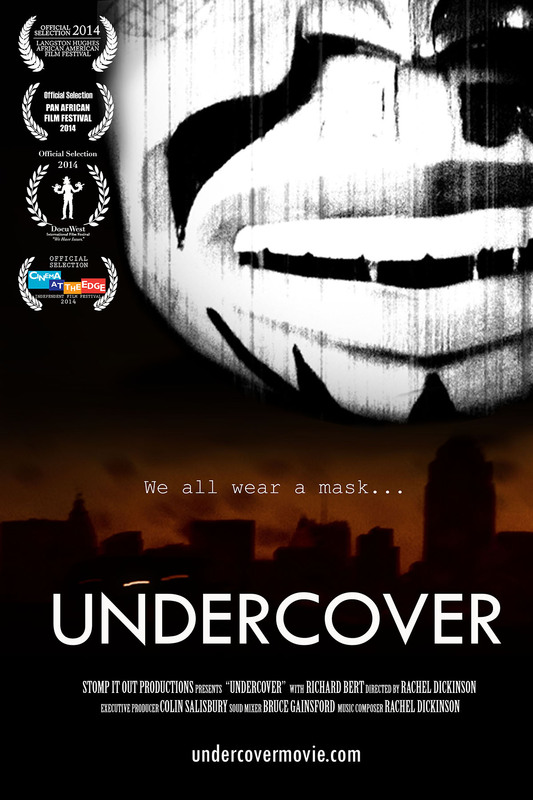 Not only did she direct and edit the movie, she was also the camera person and composed all the music and sound effects as well. 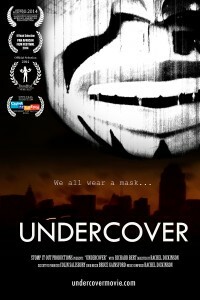 Talking about boot sounds, RayneLeafe has just finished all the editing on her next movie, entitled Stomp it Out, which is a documentary about a group of young people from the slums of Soweto in South Africa who take their unique form of gumboot dancing on a brief tour of China. 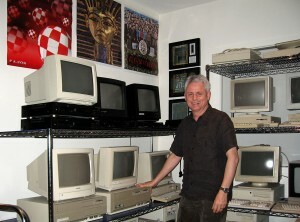 Money to help support the project was raised via a successful Kickstarter campaign which included contributions from some generous members of the Amiga community. In addition to directing movies, RayneLeafe has written all the sound effects, music and soundscapes for Gamefroot, a free web based "drag and drop" game creation tool for artists, storytellers, junior game developers, “noobs”, and people (like me) who just can’t really code. Gamefroot provides all the gaming elements such as graphics, sprites, backdrops, music, sound effects and soundscapes etc for you to easily create your own platform game. All you need to do is add your own imagination and creative genius. 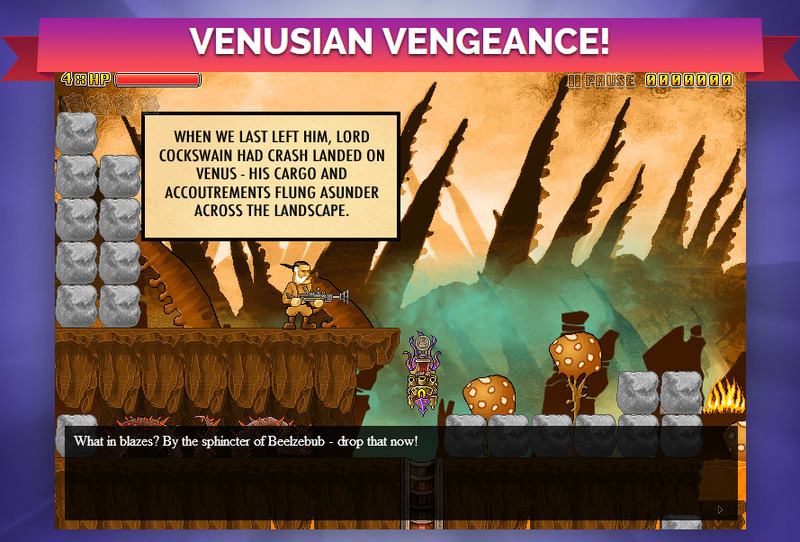 Of course you can also create your own game elements if you prefer but the choice is totally yours. The Gamefoot community has expanded rapidly and there are now over 25,000 games which have been published using the Gamefoot game creation tool, with hundreds of new games added every day. Unfortunately, for us Amigans, Gamefroot is flash based but the next version promises to support kiwi.js, an advanced open source html5 game framework for serious game developers and web designers. 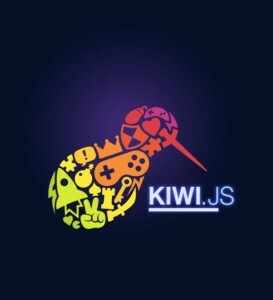 kiwi.js offers professional level support with game blueprints and plugins such as in-app purchasing and impressive particle effects. The development team behind kiwi.js are now working on the tech to automatically convert the flash based Gamefroot games to run with kiwi.js under html5. That will mean that any web browser which supports html5 should be able to play the Gamefroot created games. Why is this of any interest you may ask? 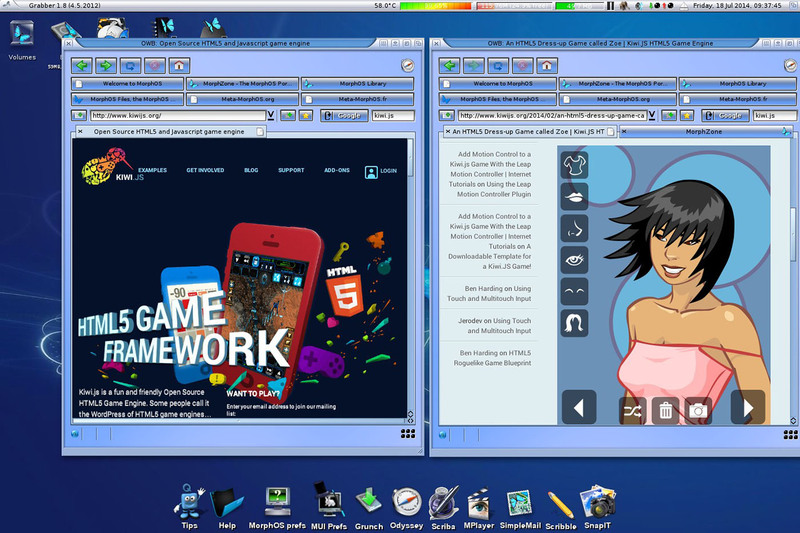 The good news for MorphOS and AmigaOS 4 users is that, although not perfect, some of the simple kiwi.js html5 game demo blueprints already run with the latest versions of the Odyssey web browser which have support for html5. The blueprint demos also work in Timberwolf under AmigaOS 4 which also includes some html5 support. Recently I had the opportunity of playing (and losing) one of the first, very advanced, two player html5 strategy games created for the iPad using kiwis.js. 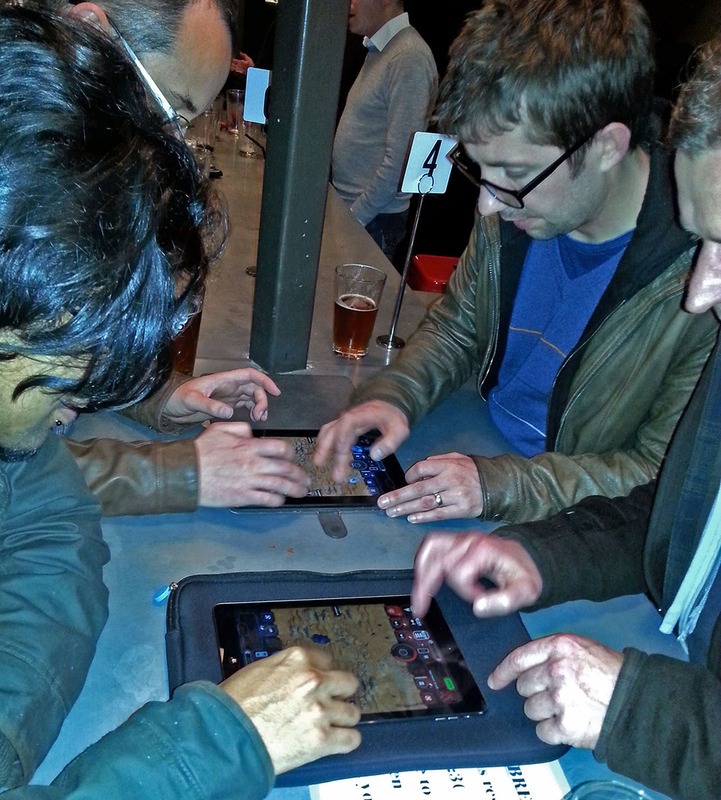 The other evening I went to the pub cough, attended a recent beta testing session with some of the creative designers and developers of the game. With two people simultaneously playing the game on the same iPad device, it was truly an interactive social gaming experience. The beer was pretty good too! Unfortunately, I am sworn to secrecy about details of the game but, suffice to say, it looks like html5, hardware independent gaming, powered by kiwi.js, is finally coming of age. Hopefully, in the future this will open the door to a whole host of playable games freed from most, if not all, hardware constraints.